Now Number Plates Will Be Made By Robots In Dubai! Sounds robotic but its true! While Dubai always loves to do things bigger and better, it has bagged another world record by launching the world’s first robot operated number plates factory. The world’s first number plate factory that employs only robots has been inaugurated in Dubai. And you’ll be surprised, they produce a number plate every 15 seconds! The initiative of using robots in the manufacturing of vehicle number plates was taken by the Roads and Transport Authority (RTA). 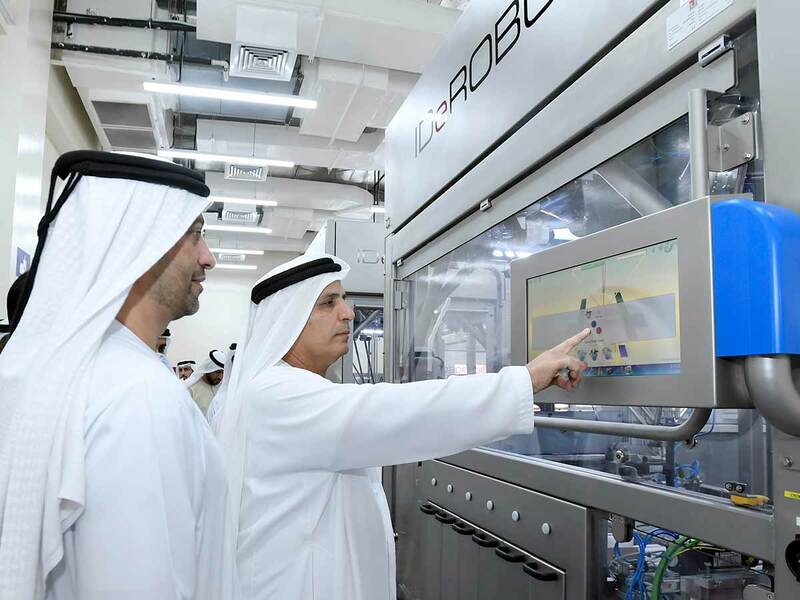 The first robot operated factory was inaugurated by HE Mattar Al Tayer, Director-General and Chairman of the Board of Executive Directors of Roads and Transport Authority (RTA). Located in the Customers Happiness Centre in Diera, the robot factory has a capacity of producing 33,000 plates per day. This is indeed 1,000 per cent more than that produced traditionally. In fact, the robot produces a number plate every 15 seconds, while the old one used to take about two minutes to print even a single plate. Added to this, the new machine can print in six different types at a time while the old one could not print more than one type. By using the technology of the fourth industrial revolution, 4IR and artificial intelligence applications, number plates can now be printed without any human intervention. German company, Tonnjes Middle East GMBH designed and produced the world’s first fully-automated licence plate production. Here, the robot receives electronic printing orders via the e-Licencing System, and begins to print registration plates without any human intervention. Looking into the progress of the robot operated number plates factory, RTA has decided to install ten similar machines at service provider centres and these will be controlled via the RTA’s central factory.